Judge Sampedro-Iglesias will tell us about her book entitled “Heroes Among Us” and it is available on line or at book stores. All proceeds are going to Sylvester Cancer Center. 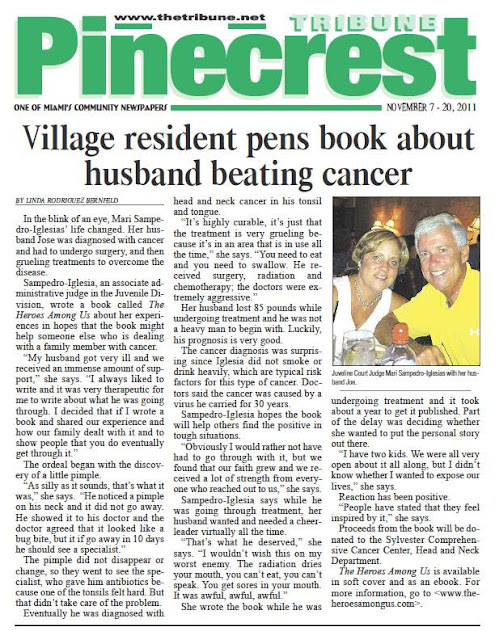 At our first book signing (see event pictures at below link) at Books and Books in mid January, we were able to donate $10,000 to Sylvester for cancer research.